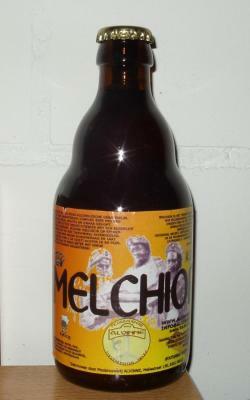 Bottled, 330ml, aged 8 years dumpy from Burg Bieren, Ermelo, Netherlands. Orange amber with white head. The 2 distinct paths with this beer are caramel and alcohol, an alcoholic sweet toffee. Fiery, breathy nasal alcohol notes syrupy toffee. It's okay but I was expecting more from this. UPDATED: AUG 2, 2018 Flaska från saveur bier. BBD2016. Gusher som Skummar rejält ur flaskan. Syrlig doft av kärnfrukt. Syrlig och ganska träig smak. Minns att flaskor från Alvinne brukade bete sig och smaka så här för 7-8 år sedan. Ok men inte jättegott. Piana niewysoka, ale drobna opada powoli. Kolor brudna mętna miedź. Aromat słodki, cukier kandyzowany, miód wielokwiatowy, słodowy,sporo owoców w tym suszonych, ubogi. Smak ponownie wysoka słodowości zbożowa, owocowość daktyli, śliwki suszonej, fenole drożdżowe, lekka guma balonowa. całośc mimo pełni i wyraźnej słodyczy lekkie w odbiorze, alkohol ukryty, chmielenie zauważalne w smaku i goryczce. Bardzo Dobre przypomina mocno klasyczne BW silnym owocowym akcentem. This was just too alcohol heavy, especially up front. Flavor was a bit of dark fruit but mostly just too much alcohol. Bottle in Seattle. Crazy gusher, lost all but a third of the bottle. Dense cloudy brown, creamy tall foam. Something wrong in here for sure, but still interseting. Light sweet funk on nose. Body is deep caramel and brown sugar, edges of light funk. Mustard seeds underneath make sense, but I wouldn’t have picked it. Thick alcohol weight, some wafting flavors in the nose as it finishes. Interesting, ok, not worth seeking out. 33cl bottle. Gusher. Pours a murky brown hue with a large fizzy, foamy beige head. Aroma of stone fruits, yeast, and spice. Taste is malt, dark fruits, some yeast, spice, alcohol. Caramel. Finish is sweet and slightly warming. Bottle. Gushing warning! Dark amber, hazy with tan had, pretty solid after half of the beer spontaneously left the bottle while opening. Pleasant aromas of light barnyard, some dried fruits, a bit of white wine and raisins. Taste is sour sweet, with little bit earthy, tart finish. Good and interesting. 0,33l bottle from Damian Bottle Shop, Bratislava, Pours hazy golden liquid, small soapy white head to tan head, Aroma: malty, yeasty, slightly funky, Taste: light to medium sweet, light to medium bitter, light sour, funky, candied sweet, white wine, Taste: medium to heavy sweet, light to medium bitter, light to medium sour, funky, candied fruits, sweet, belgian phenolic yeast taste, Palate: medium to full body, soft to average carbonation, slick to full body, long bitterweet aftertaste, Overall: quite good, enjoyed. Bottle 0,33. Pours clear amber with a large off-white head. Yeast, molasses, apricot, dried fruits, alcohol, some flowers in the afterstaste. Medium body and highly carbonated.